The recent news of the earthquake in China inspired me to find websites that provide spatial information about earthquakes. Basically, I wanted to find out if there are websites out there that describe where earthquakes are occurring, and at what magnitude. Naturally, the first organization I found that provides such a service is the United States Geological Survey, which has a number of maps that provide not only the location of earthquakes, but also other important information like magnitude and coordinates. The USGS provides global maps as well as more regionalized maps that provide a more detailed look at Earthquakes around the world. 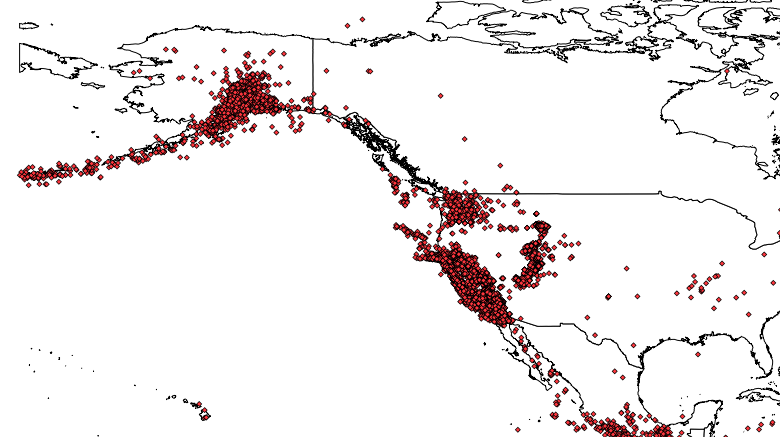 An interesting aspect of the website is that it provides up to date information about earthquakes, and it is amazing to see how many earthquakes occur on a very regular basis. For example at the time of this writing there are 165 earthquakes reported on the website that have occurred within the past seven days. 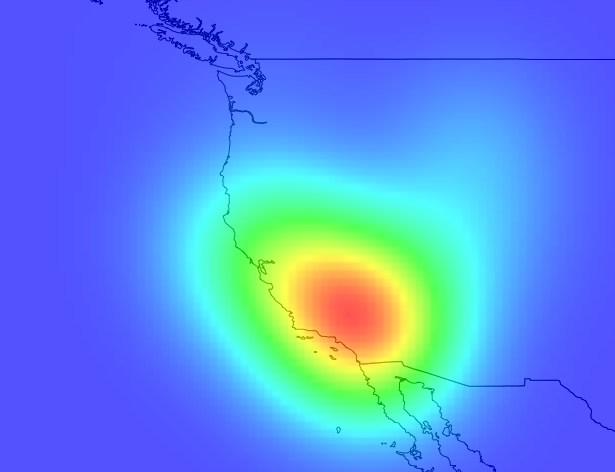 Many of these earthquakes are small, but several are in the 5.0-6.0 range, which is pretty large. Another interesting website that I found covering this subject was the IRIS Seismic Monitor, which provides the location of seismic activity throughout the world. 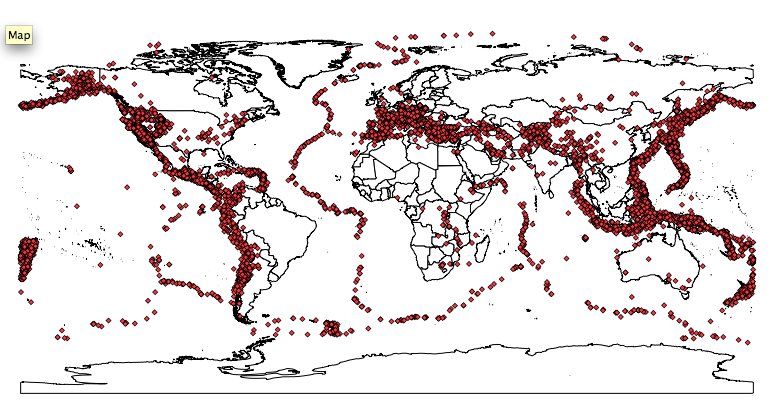 It provides the location, time, and magnitude of the seismic events and also provides coordinate information. A final couple of websites that I found on this subject actually provided GIS data to download so that you can explore earthquakes in Cartographica. You can find earthquake data from 2000 at GeoComm and you can find a shapefile of the earth at APRS . I have provided a few images of the downloaded data being used in Cartographica.